When I saw the newest Kennedy Center Honorees, my first reaction was disappointment: Betty White was ignored yet again. My second reaction was frustration: somehow some comic who hasn't been funny in decades (and who is not open to having female comics on his show...but female staffers in his bed) was seen as a wise choice. My third reaction was anger: the selection of a defunct (albeit brilliant) rock BAND was seen as more sensible than say...someone who has won an Emmy, an Grammy, an Oscar, and a Tony (EGOT). 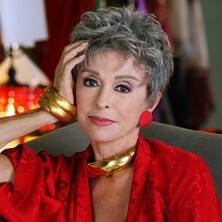 Nothing against Led Zeppelin (can't wait to hear what band is going to butcher Whole Lotta Love), but the failure to honor Rita Moreno despite her long career and artistic accomplishments appears to be the final straw among a group of Hispanics who have now grown angry over the Kennedy Center Honors' inability to find any Hispanics worthy of recognition. Felix Sanchez, chairman for the National Hispanic Foundation for the Arts, had approached Michael M. Kaiser, president of the John F. Kennedy Center for the Performing Arts, to express his concern over the failure of the Kennedy Center to find Hispanic honorees. Let's put things in context before going any further. 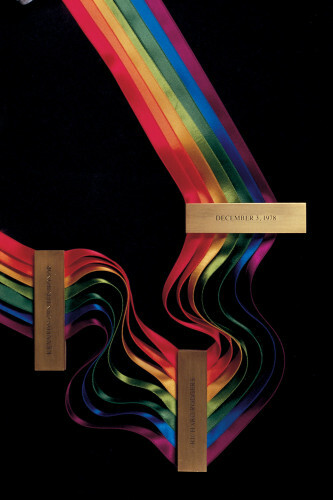 The Kennedy Center Honors was established in 1977. It wasn't until 2000, a full twenty-three years, that a Hispanic received what is touted as the nation's highest artistic honor, that being tenor Placido Domingo. Two years later, we have Broadway legend Chita Rivera. That is 2002. In the decade since, not one Hispanic has found him/herself among those feted with the likes of Steve Martin and Roger Daltry/Pete Townshend of The Who. Let's imagine that the same standards were applied to African-Americans. Would there be any logic to an argument that said that no black artists could be found to honor in twenty-three years, and that they could only find two black artists in nearly forty years? That kind of argument would be laughed at the very least, condemned as backward perhaps even bigoted at worst. However, that is the argument Kaiser and Kennedy Center Honors producers George Stevens, Jr. are presenting us. In short, their defense can be summed up thus: there simply weren't enough talented Hispanics who had contributed to American culture for us to bother with. Since the inception of the Honors, I could find quite a few Hispanics who were alive when the Honors were first presented and whom I figure wouldn't get arguments against: Jose Ferrer (died 1992), Gilbert Roland (died 1994), Fernando Rey (died 1994), Tito Puente (died 2000), Anthony Quinn (died 2001), Celia Cruz (died 2003), Ricardo Montalban (died 2009). Still, we're suppose to accept meekly that somehow the above were not as important to the arts as Steve Martin or The Who. Even now we have a good number of Hispanics, very much alive, who are worthy candidates. There is the aforementioned Moreno, but we also have Martin Sheen, Gloria Estefan, Jose Carreras, Joan Baez, Carlos Santana, Jose Feliciano, Hector Elizondo. STILL, the Kennedy Center appears to live in an alternate universe where Hispanics appear to barely be learning English...otherwise perhaps there would be more Hispanic honorees. Now, when Sanchez brought up his concerns to Kaiser, the latter took umbrage at having their near-total lack of Hispanic representation at the KCH. The conversation ended thus: Kaiser to Sanchez, "Go f--- yourself". Truth be told, the entire brouhaha over the near-total absence of Hispanic honorees lies with the Center itself. An entity that doth protest too much about celebrating diversity and going out of its way to have a balance of honorees cannot then complain when its called on its lack of said diversity. Let's be honest: the Kennedy Center Honors has ignored Hispanic contributions to the arts, and when Hispanics have the temerity to complain, their answer is to get defensive and tell us to go F**K ourselves. In other words, Kaiser, Stevens, et. al. are telling Hispanics to sit down, shut up, and take it. Well, here's one Hispanic who won't take it. It is good to see that Sanchez and other Hispanics are similarly calling out the Center's tone-deaf response to valid concerns. I hope that this will be the catalyst not to just have a more inclusive representation at the Kennedy Center Honors, but on television as a whole. I've already covered how while Hispanics are nearly 17% of the U.S. population they make up only 4% of television characters. This lack of Hispanic Kennedy Center Honorees (only 2 out of 180 honorees) is just the icing on this poisonous cake we're being asked to eat. Hispanics are being nearly erased from television. Hispanics cannot play Hispanics on film (case in point: Ben Affleck playing Tony Mendez in Argo), and now Hispanics who have won all four competitive artistic awards are considered less worthy than a band that technically no longer exists. How long can Hollywood, the Kennedy Center, or the arts in general, continue to deny the existence of 17% of the population before said group finally says, "Hey, we're here"? I oppose a quota system. I don't think we need to have a Hispanic at every year's ceremony. However, I don't buy the idea that in nearly forty years, the Kennedy Center could only find TWO Hispanics that contributed to the American arts. The Kennedy Center Honors had no problem finding a Native American to honor (prima ballerina Maria Tallchief in 1996, and I'm the first to say she is extremely worthy of recognition). I cannot fathom how then the largest minority group in the U.S. can be so casually ignored by the Kennedy Center. The Native American population is 1.7% of the overall population, yet they have only one less honoree than the 17% of the overall American population. "The primary criterion in the selection process is excellence. The Honors are not designated by art form or category of artistic achievement; the selection process, over the years, has produced balance among the various arts and artistic disciplines." Thus says the official Kennedy Center Honors website. What argument can be made that the late Ferrer, Quinn, Cruz, or Puente failed to meet this standard, or that the very much alive Moreno, Santana, or Sheen don't fit into said 'criterion of excellence'?